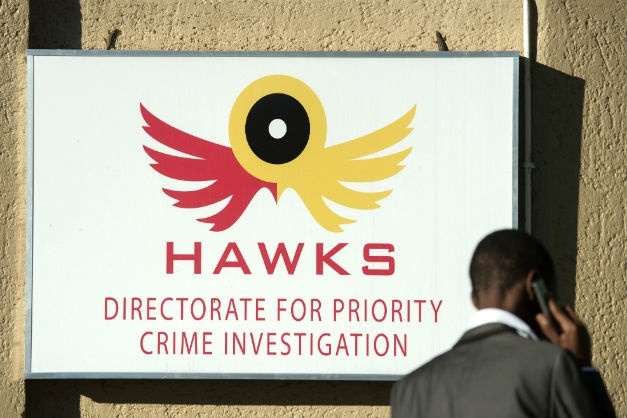 Three Hawks officers arrested on Friday by their own colleagues for alleged corruption, extortion, intimidation and defeating the ends of justice have appeared briefly in the Randburg Magistrate's Court. The elite police investigative unit's spokesperson, Brigadier Hangwani Mulaudzi, said the three: 55-year-old Captain Thembani Luyanda Mnonopi, 39-year-old Captain Mydarling Hlanganani Ndaba and 49-year-old Warrant Officer Zanele Constance Shabane were remanded in custody after making a brief appearance. Having already spent two days behind bars, the three officers still have three more to go before applying for bail on Wednesday. Mulaudzi said their arrest follows revelation by an investigation that in "January this year they allegedly intimidated and extorted a Midrand-based businessman of over hundred thousand rand in foreign and local currency". "It is alleged that the three officers visited a business premises in January this year. They demanded and eventually extorted a large amount of money from a business owner to avoid being reported to authorities for being in possession of invalid documents and to stay and conduct any business in South Africa," Mulaudzi said. "They reportedly threatened to have his business shut down for operating with invalid documents and also for being in the country illegally." The three are expected to appear at the Alexandra Magistrate's Court on April 10 where their bail application will be heard.